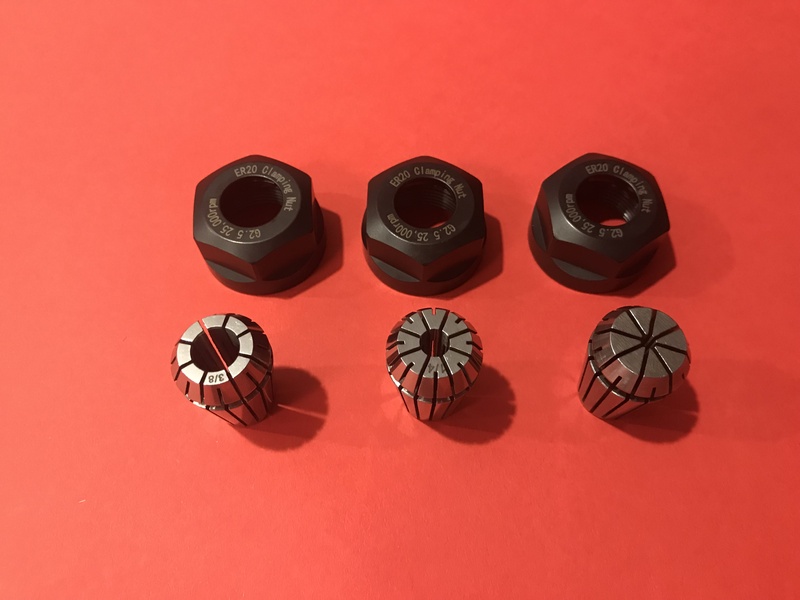 Tooling » CNC Spindle / VFD » ER20 Collet and Nut Set, 1/8", 1/4", 3/8"
This collet set compliments the 1/2" collet included with our 2.2 kW Plug and Play Spindle / VFD System, and provides collets for the most common tooling shank sizes, each with its own collet nut for convenient tool changes. Includes 3 of our ER-20 Collets and 3 of our Balanced ER-20 Collet Nuts. This product was added to our catalog on February 9, 2017.